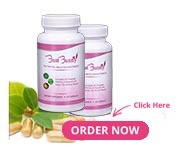 The content on BustBunny.com is provided solely for informational and entertainment purposes and is not to be viewed as a substitute for professional medical advice or to be relied upon for medication or treatment. Always seek the advice of your physician or other qualified health provider if you have questions regarding a medical condition. Never disregard medical advice or delay in seeking it because of something you have read on this website. BustBunny.com cannot be held accountable or liable nor do they take any responsibility for any and all damage, injury, or consequence resulting from any attempt to use, misuse, adopt, or adapt any of the information presented on this website.